1756-1831. Born in Bruntsfield, Edinburgh on 10 April 1756 of Scottish descent, he was the second son of George, Admiral the 6th Earl Northesk who died in 1792. His mother, Anne Melville, was the eldest daughter of the 5th Earl of Leven, and his younger brother George became a lieutenant-colonel. Carnegie entered the navy in 1771 aboard the Portsmouth guardship Albion 74, Captain Hon. Samuel Barrington, and after a spell in the Baltic and home waters from October 1771 until August 1772 with the Southampton 36, Captain John MacBride, he returned to the Albion where he remained until the spring of 1773. He next joined the Otter 14, Commander John Morris, going out to Newfoundland for the 1783 season, and upon being paid off in November he joined the Squirrel 20, Captain Stair Douglas, which sailed for Jamaica in January 1774. He remained with this vessel until the summer of 1776, when he spent a month aboard the Boreas 28, Captain Charles Thompson, on the same station. In August 1776 he joined the Eagle 64, Captain Henry Duncan, with the flag of Vice-Admiral Lord Howe at New York, and during the second half of 1777 he performed duties as an acting-lieutenant of the Nonsuch 64, Captain Walter Griffith, being present in the Philadelphia campaign of August – November. On 7 December he was commissioned lieutenant by Lord Howe and appointed to the crack frigate Apollo 32, Captain Philemon Pownall, with which he served in Lord Howe’s defence of New York in July 1778 and the manoeuvres off Rhode Island in August before that vessel returned home at the end of the year. From June 1779 Carnegie served under Rear-Admiral Sir John Lockhart-Ross in home waters aboard the Royal George 100, Captains John Colpoys and John Bourmaster, later being present at the Moonlight Battle off Cape St. Vincent on 16 January 1780. In early February he joined the Sandwich 90, Captain Walter Young, the flagship of Admiral Sir George Rodney, and after going out to the Leeward Islands he fought at the Battle of Martinique on 17 April. His privileged position aboard Rodney’s flagship resulted in his promotion to commander with seniority from 10 September 1780, and he remained in the Leeward Islands in command of the fireship Blast, being present at the capture St. Eustatius on 3 February 1781. He was posted captain on 7 April 1782, and after commanding the hired vessel St. Eustatius 28 he joined the frigate Enterprise 28 at the end of the year, remaining in the Leeward Islands until returning to Portsmouth on 30 April 1784 when she was paid off. In 1788 Carnegie assumed the title of Lord Rosehill following the death of his older brother, but he was not employed in the Navy until the Spanish Armament of 1790, when he briefly commanded the Heroine 32 after she was put into commission in September. By now he was a familiar figure in high society, as evidenced by his appearance with Lady Rosehill at the Winchester Christmas Ball on 1 January 1791, which event was also attended by the Prince of Wales, and later that autumn with his announced arrival at Bath. 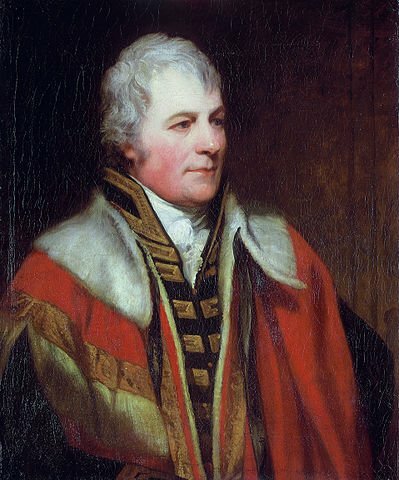 On 22 January 1792 he became the 7th Earl Northesk on the death of his father. On the opening of hostilities with France in February 1793 Northesk commissioned the new frigate Beaulieu 40, going out to the Leeward Islands in April and exchanging with Captain John Salisbury of the Andromeda 32 in November, which vessel he brought back from the West Indies with a convoy in December of that year. A period on half-pay followed, and in 1796 he was elected one of the sixteen Scottish peers in the House of Lords, a role he would devote much time to. In the spring of 1796 he was appointed to the new Monmouth 64, serving in Admiral Adam Duncan’s North Sea fleet. During the Nore mutiny which broke out on 12 May 1797 he was briefly imprisoned by the mutineers, before being employed by them as an emissary to the King, as he appeared to be prepared to consider the deeper-lying issues that had caused the outbreak. Although Northesk delivered the delegates’ message he did not return to his ship, even though he had been ordered to do so ‘within fifty-four hours’, and shortly after the mutiny ended he resigned his command to spend more time in the House of Lords. In October 1800 he was appointed to the Prince 98 in the Channel fleet, and bar a month from the middle of October 1801 when Captain Sir John Loring deputised for him he retained her until she was paid off at Plymouth in April 1802. Following the reopening of hostilities with France in 1803 Northesk joined the Britannia 100 on 5 June, which was initially fitted out for foreign service under Acting-Captain Edward Kittoe, but after a period as a guardship off St. Helens she joined the Channel fleet under Admiral Hon. William Cornwallis off Brest. Following his promotion to rear-admiral on 23 April 1804 Northesk remained with his flag aboard the Britannia 100, and with his protégé Charles Bullen serving as his flag captain. The Britannia is depicted on the left of this engraving of the Battle of Trafalgar. In August 1805 the Britannia was despatched with Vice-Admiral Sir Robert Calder’s force to join the blockade of Vice-Admiral Villeneuve’s fleet in Cadiz, and Northesk subsequently flew his flag aboard her at the Battle of Trafalgar on 21 October as the third in command. Some commentators claimed that his flagship, the sixth vessel in the lee line, barely got in to the action, with reports circulating that he argued with Captain Bullen after ordering him to shorten sail on the approach to the allied fleet. Later, Vice-Admiral Lord Collingwood’s flag-captain, Edward Rotheram, would declare that Northesk ‘behaved notoriously ill’ at Trafalgar. However the Britannia was old and slow and her high casualty rate of ten men killed and forty-two wounded bore testimony to the fact that once engaged she made every effort to participate in the action. During the battle she at various times fought the Santísima Trinidad 136, San Francisco de Asis 74, and the Rayo 100, and when honours were subsequently handed out Northesk was nominated a K.B., the investiture for which took place on 5 June 1806. By then he had returned home aboard the Dreadnought 98, Captain John Conn, having resigned from the Mediterranean fleet for health reasons. On 28 April 1808 Northesk was promoted vice-admiral, and on 4 June 1814 admiral. He was nominated a G.C.B. in 1815, and there followed a long period out of service, during which time he was a leading member of society in Hampshire. His last employment came when he served as the commander-in-chief at Plymouth from 1827-30 with his flag aboard the Britannia 120, Captain Edward Hawker, followed by the St. Vincent 120, Captains Edward Hawker and William Blight, although even during this period he did not fail to maintain his presence in the most influential social circles in the land. Admiral Earl Northesk died at his residence in Albemarle Street, London, after a short illness on 28 May 1831, and he was buried in a private ceremony on 8 June in the crypt of St. Paul’s Cathedral, near to the resting-places of both Vice-Admiral Lord Nelson and Vice-Admiral Lord Collingwood. On 9 December 1788 he married Mary Ricketts, a niece of Admiral Sir John Jervis, afterwards Lord St. Vincent, and the sister of Captain William Henry Ricketts Jervis. The couple had four sons and five daughters. His eldest son, George, Lord Rosehill, drowned as an eighteen year-old midshipman with Rear-Admiral Sir Thomas Troubridge aboard the Blenheim 74 in the Indian Ocean in February 1807, whilst his youngest son, Hon. Swynfen Thomas Carnegie, born on 8 March 1813, became an admiral. Northesk’s seat was at Rose-Hill in Hampshire, and he represented Scotland as a peer in the parliaments of 1796, 1802, 1806 and 1830. Considered to be fair and humane, his urbanity and aristocratic background apparently made him popular with his men. He suffered from asthma.